(EJNews) – Pikuach nefesh, the preservation of life, is not simply honorable in the eyes of Halakha, but a cornerstone of Judaism. When recent kidney donor Rabbi Mendy Blachman, of Chabad Edmonton, considers the safeguarding of human life, he looks to the teachings and guidance of the Lubavitcher Rebbe, Rabbi Menachem Mendel Schneerson. The Rebbe stressed the importance of Ahavat Yisroel – truly caring about another’s needs whether it be spiritual or physical. When this opportunity presented itself to Rabbi Mendy he couldn’t see any better way of helping another. 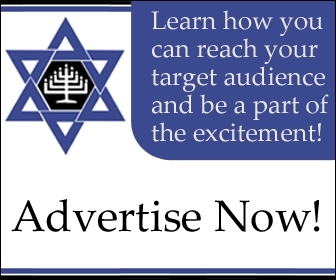 Click here to read a sidebar article – Does Judaism allow organ donation? 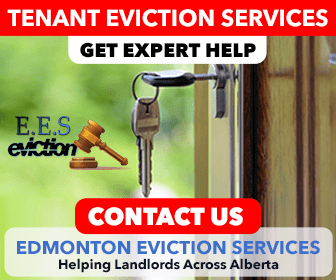 Howard Moster, a well-known and easily recognizable member of the Edmonton Jewish community has always been the first to step forward with a helping hand. However, after many years battling polycystic kidney disease he found that he simply did not have the strength. 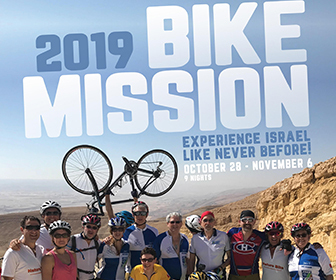 With the help of Chabad Rabbi Dovid and Rebbetzin Devorah Pinson coordinating the effort, potential donors began the initial screening process to determine their suitability for the procedure. “During the beginning stages of the search I wanted to keep my identity a secret,” said Moster. “I talked with Rabbi Dovid a lot about how to proceed, and after a great deal of discussion we decided to make my Hebrew name public. Everyone would know who Rabbi Dovid meant by ‘Herschel’ but someone doing a google search would have an impossible time making the connection.” Still, only Rabbi Dovid and Rebbetzin Devorah knew who the potential donors were. By an oversight, Moster was kept waiting for an hour and a half. Moster had earlier turned down a potential donor. 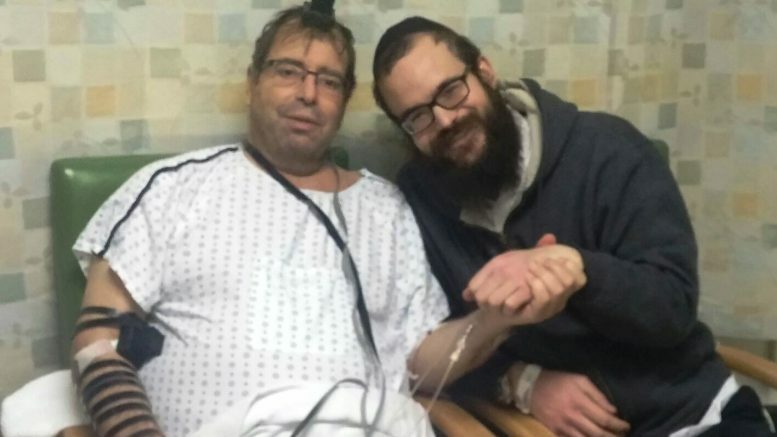 With his dollar from the Lubavitcher Rebbe safely stowed in a sterile bag close by, Rabbi Mendy underwent an approximately four-hour surgery that saved the life of Howard Moster. “I felt some weakness afterward. There are restrictions on how much you can lift after surgery, which can be difficult with five small children – I like to pick up my children and dance around with them on my shoulders. I was able to go from my hospital room, which was on a different wing, to Howard’s room to visit him soon after the procedure. Weaker, and minus one kidney, Rabbi Mendy estimates that within two weeks he was already beginning to resume many of his usual activities. “I was able to make some hospital visits after a few weeks,” he recalled. With the help of Rabbi Dovid and Rebbetzin Devorah, Moster prepared weeks worth of frozen meals to help Rabbi Mendy and his family during his road to recovery. As for Rabbi Mendy, he may not have been able to stay till the very end of this year’s Purim celebration to clean up, as he has every other year, but as anyone in the community can attest, his tremendous energy and joy of service have returned in full force! 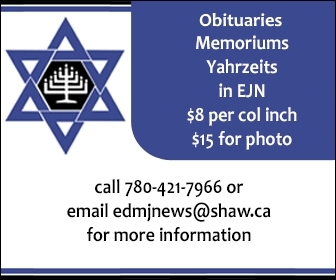 Moster remembers meeting Rabbi Mendy when the Rabbi and Rebbetzin first came to visit Edmonton. 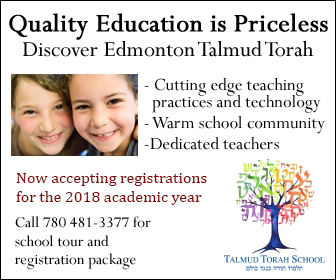 Now, the two will be lifelong friends having shared, and continuing to share, a mitzvah so exceptional, that we in the Edmonton Jewish community are fortunate to witness its impact. Although the humble and soft-spoken Rabbi would have liked to have remained anonymous, the knowledge of the renewal on life he gave to Howard Moster, has become a shining example of the power of giving. 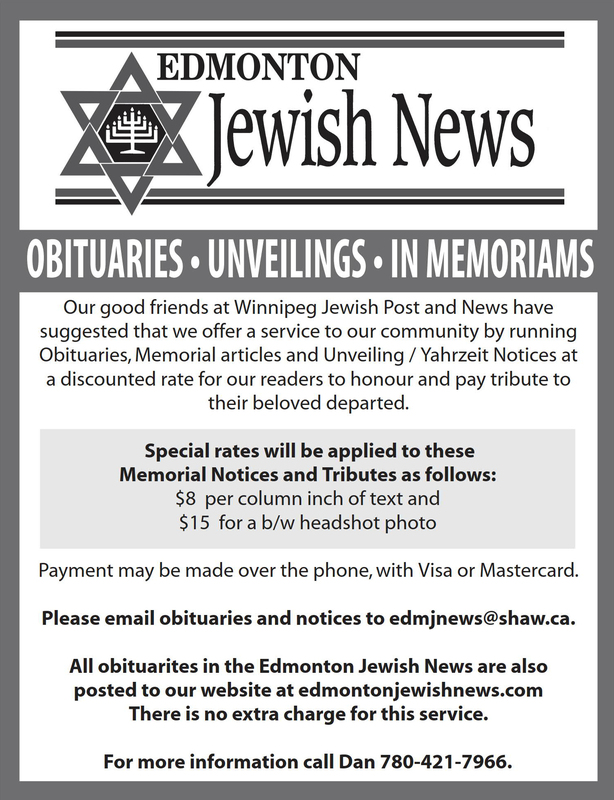 Be the first to comment on "Edmonton Rabbi gives the gift of life with a kidney donation"